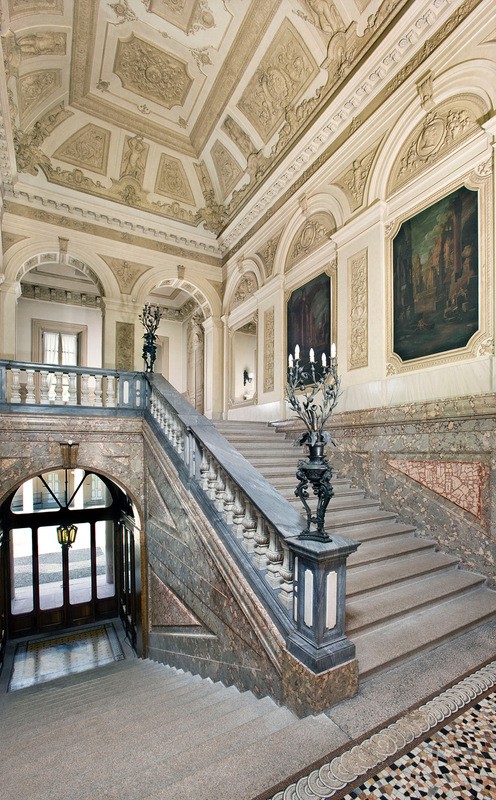 In 2018 the palace Francesco Melzi d'Eril was completely renovated. The imposing neoclassical palace is home to the Fondazione Cariplo, the foundation of one of Italy's leading banks, Banca Intesa - Sanpaolo. Since its creation in Milan in June 1823, the Foundation, which at the time was still operating under the Cassa di Risparmio delle Provincie Lombarde, the then Savings Bank of the Lombard Provinces, has pursued the objective of promoting the growth of the local economy, culture and civil society. It is also home to some of the many works that form part of the Foundation's artistic heritage. 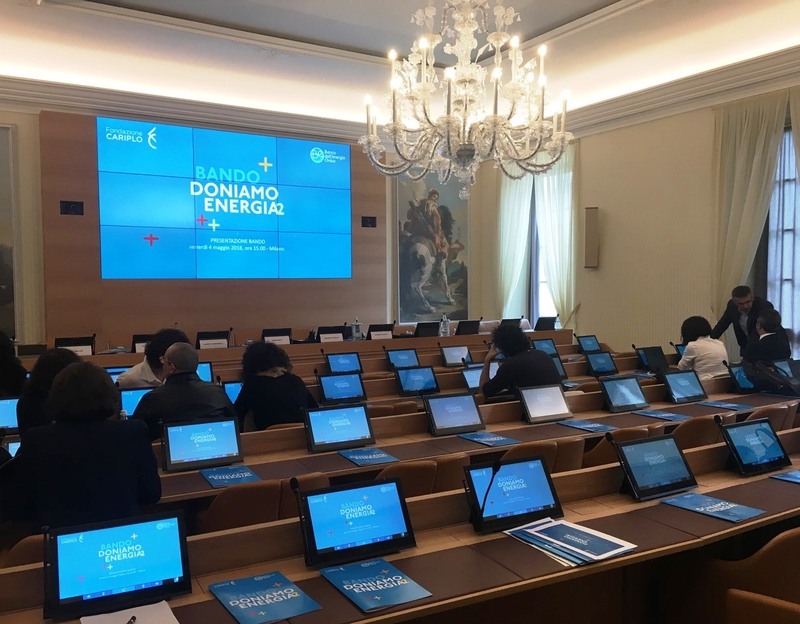 The renovation of the impressive building was accompanied by the adaptation of the technical equipment of the Central Charity Committee's (CCB) and CDA meeting rooms to today's modern requirements for sound reinforcement and conference systems. 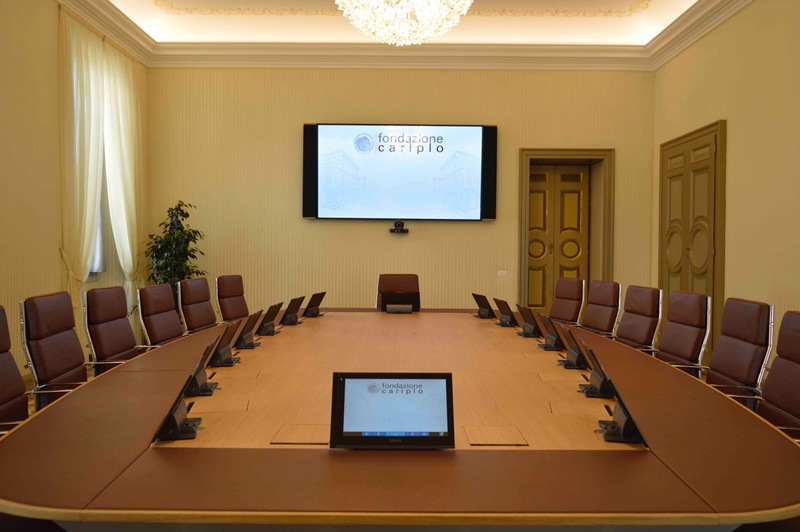 The management wanted to equip the rooms with the best audiovisual technologies available on the market to ensure a technical, ergonomic and (very important for the prestige of the building) aesthetic solution. The heart of the audio-video solution for both rooms (and the control room) are ZEEVEE's Over-IP audio-video full HD/4K signal distribution system, the audio and media control matrix HARVEY, a product from the Berlin based company DSPECIALISTS; responsible for audio mixing and distribution of audio signals, and finally TAIDEN's "Paperless" multimedia conference system.. In detail, the audio communication infrastructure between the two rooms, the control room and the interpreter's booth is delegated to HARVEY. Each room is equipped with one HARVEY mx.16 and all HARVEY mx.16 units are connected to audio input and output devices, creating a multi-room system that is controlled by HARVEY mx.16. The HARVEY mx.16 system is used to control the audio communication between the two rooms. The CDA room, the CCB room and the control room are connected to a room combination system, which makes it possible to share 2 independent audio and video sources. In the same way, 2 interpreter booths can be assigned to or shared with the CDA or CCB room. The TAIDEN "paperless" system used is not a simple conference system, but a powerful multimedia terminal. Its 14" multi-touch display enables numerous services for the user: it is a video-on-demand display, an archive of documents that can be viewed and shared, an 8Mpix camera terminal and Internet access at the same time. Thanks to the excellent interaction of all technical devices, session participants can view and print documents on 14" personal monitors, and HARVEY ensures good sound everywhere.